Dietary Supplement DHA May Help Support Fetal Brain and Eye Development Nature Made Prenatal Multi Plus DHA is a prenatal multivitamin that provides key vitamins and minerals for nutritional support before and during pregnancy. 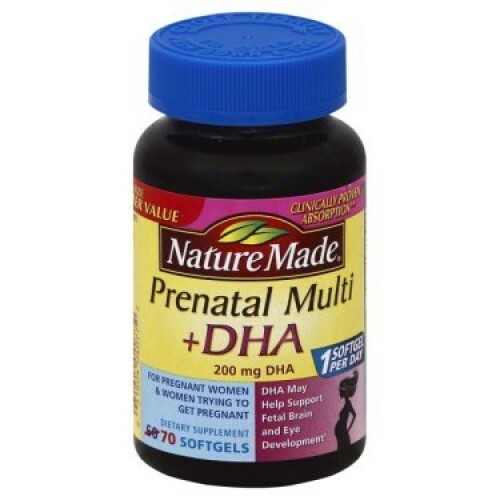 This formula is specially designed for pregnant women and women trying to get pregnant. This statement has not been evaluated by the Food and Drug Administration. This product is not intended to diagnose, treat, cure or prevent any disease. 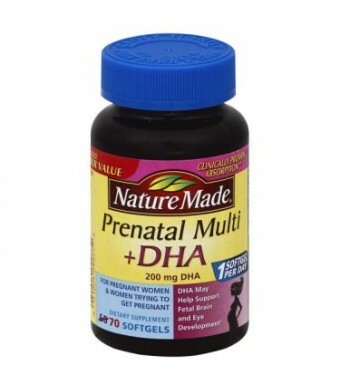 Clinically proven absorption Folic Acid and Iron. Data Available.